Estate Jewelry Buyers & Appraisal in New York, Connecticut & Now Arizona! When you make the decision to sell your estate jewelry, you should always try & get it appraised beforehand, you might be thinking “where can I get my Estate Jewelery Appraised?”. 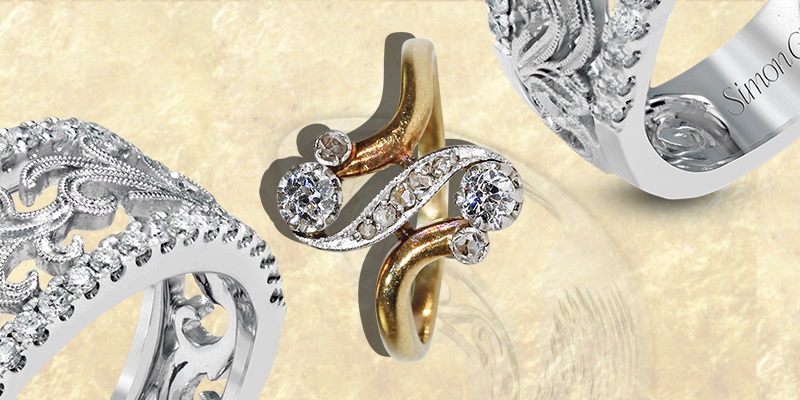 You can contact us as we are one of the trusted estate jewelry buyers & offer appraisal service. We’re here to make certain you get top dollar for your items, and the only way to do that is to have them appraised first. Are you searching for the best place to sell estate jewelry? Then you are at correct place. Here at William Smith, we buy estate jewelry in New York, Connecticut & Now Arizona area. We have over 40 years of experience in antique buying and appraisal Service. What estate jewelry do we appraise online? Our team of professionals is here to examine any estate jewelry you may have, no matter how old it is. Our team will determine if your items are true antiques (over 100 years old) or more modern pieces. We exam diamonds, sapphires, emeralds and rubies in addition to lesser-value stones and items with no stones at all. We’re familiar with the many different styles of jewelry, including Victorian, Edwardian, appraiser Art Nouveau, and art Deco. We’ll help you positively identify pieces by makers such as – Cartier, Tiffany, Van Cleef and Arpel, Bulgari, Webb, Chopard, and many others. Often, all it takes for an estate jewelry appraisal is for an expert to examine the piece very closely. What Determines the Appraisal Value and who buys Estate Jewelry? There are a number of different factors that buyers look for when they want to purchase estate jewelry. When we do a Victorian jewelry appraisal, we will look at the carat value and the weight of the stones to determine their value in today’s market. Of course, you don’t want to remove these stones and sell them individually, which is why this is just the starting point. An art Deco jewelry appraiser examines the style of the piece, its age, and what time period it came from. Some styles are simply more popular and will have a higher value than others. The designer plays a part in this, too. Finally, estate jewelry buyers are often looking for pieces in outstanding condition. While pieces by certain designers will always sell well, you’ll get the best prices if you have jewelry in great condition. We help you get the best price possible, when looking up the market value of Estate jewelry & Antique jewelry. We also buy at the best prices and offer the option to have pieces auctioned if needed for collectors and whole estates. Should I Sell Estate Jewelry to a Antique Dealer or to Our Auction Service? It really depends on the size of an estate. Selling a large amount of jewelry or entire estates is much easier through an auction. Our 50+ years of experience in auctioning services can assist you with liquidating any inherited collection or family dispersal all at once. Selling to Antique buyers often means selling one piece at a time, so it can take a while to sell everything. So, it’s better go with an established Auction Service provider like us. If you are located in the New York, Connecticut & Arizona region and are looking to sell to “Reputable Estate Jewelry Buyers & Appraiser”. Then, you are at Correct place. We highly pride ourselves on the standard of our work.